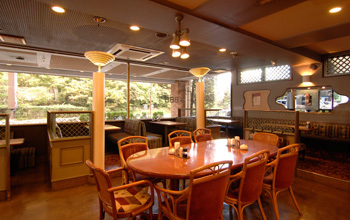 Senkei Plaza Inn is a western style hotel, where we provide two different styles of rooms. A western style room and a Japanese style room. There are regular beds in both type's of rooms. 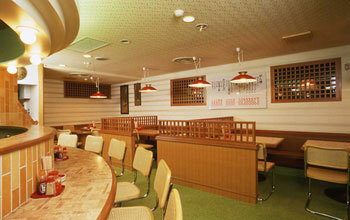 In the Japanese style rooms we have a tatami-mat space used as a sitting room. A convenient place to stay in Hakone for travelers on a budget wanting to see Mount Fuji or enjoy Onsen (hot springs) at a reasonable price. The guests who stay at the Senkei Plaza Inn can use the large bathing rooms of the Hotel Senkei, a facility next to the Senkei Plaza Inn. On the ground floor, there is a cafe, a Ramen restaurant. Also, there are other attractions in the area, including golf courses. See our section on Attractions in Hakone. At the Senkei Plaza Inn there are 10 rooms. 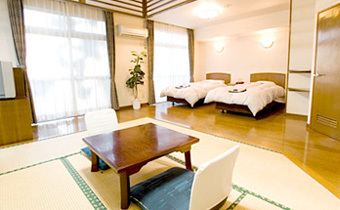 There are Western style rooms with either twin or double beds. Onsen is considered the most popular travel attraction in Japan. Travelers coming to Japan tend to think they need to stay at Ryokan to enjoy high quality Onsen hot springs. 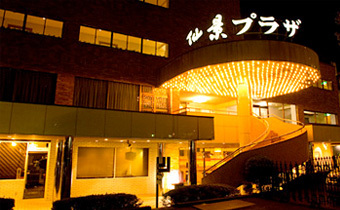 But, you can still enjoy Onsen by staying at a western style hotel in Japan. The following large bathing rooms of Senkei are available for guests staying at Senkei Plaza. A large bathing room for men.A large bathing room for women. An open-air, large bathing room with a splendid view of the mountains in Hakone. Check more on our hot spring page.